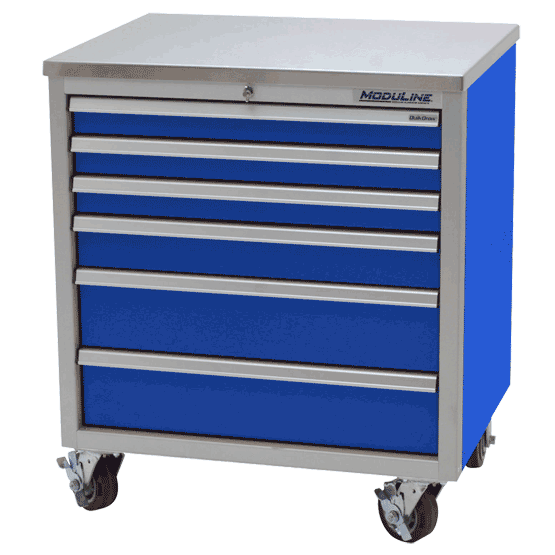 Don’t move your project to your tool cabinets, move your tools to your project with a stylish rolling tool box from Moduline. 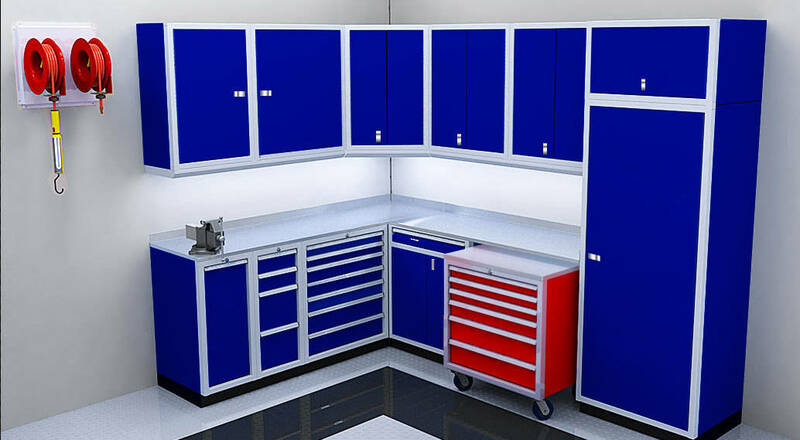 Choose from a Mobile Base, Mobile Garage Tool Box or a Mobile Workstation. 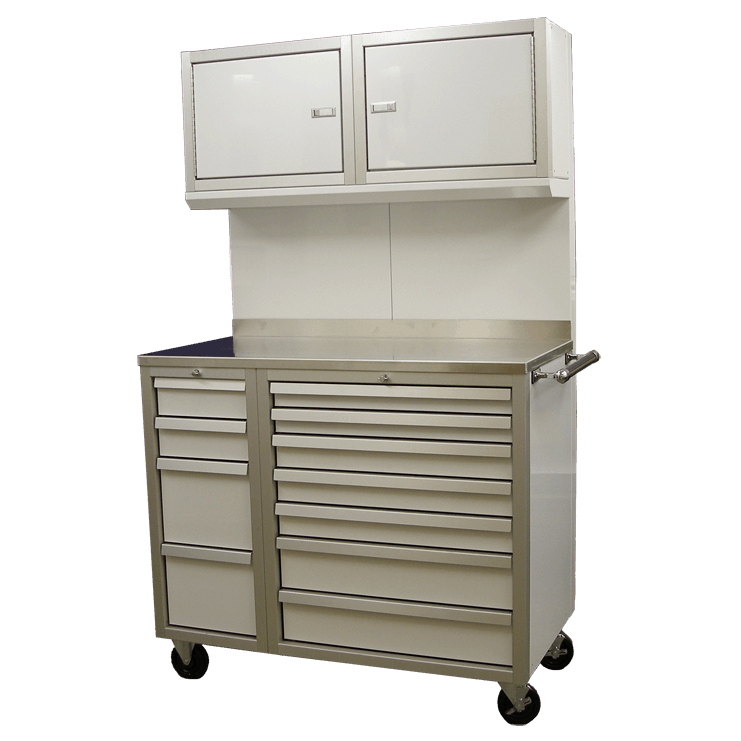 All our rolling cabinets glide effortlessly around the shop or garage on industrial grade casters. 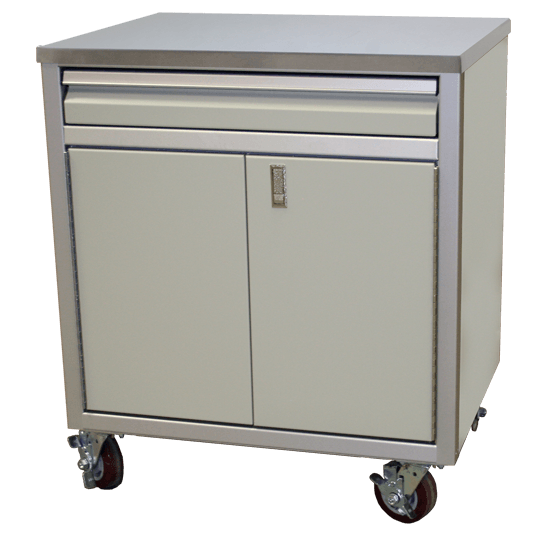 Each drawer is equipped with our QuikDraw® latch system keeping them securely closed while being moved around and because they are aluminum, the weight is lower allowing for easier mobility.